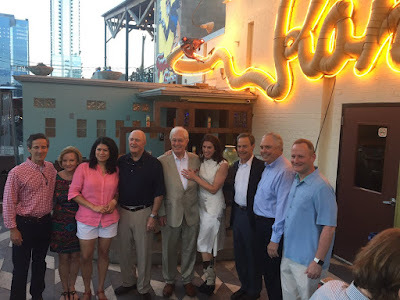 From Left to Right: Kelly Hancock, Geanie Morrison, Carol Alvarado, Kel Seliger, Charlie Geren, the New Mrs. Geren, Joe Straus, Drew Darby, and Four Price. But our favorite Mindy Geren story, including her close connections with Karl Rove, can be viewed here. Re: Pojman. No one should be required to register as a lobbyist. None of the govt's business!! Or anyone else's! !